Which mid-major NCAA Tournament teams could be this year's Loyola-Chicago? Which mid-major NCAA Tournament teams could be this year’s Loyola-Chicago? The NCAA Tournament is a fickle beast. Last year, the Loyola-Chicago Ramblers were the darlings of the college basketball world as they stormed through the field as an 11-seed all the way to the Final Four thanks to a series of last-second heroics and huge performances. This year, they are nowhere to be found as they fell short in their conference tournament. Loyola-Chicago became one of the few true mid-majors to make it to the Final Four in the last few decades. There’s certainly no guarantee that another one will make it that far this year, but just in case, these are the teams who are most likely to make it happen in 2019. First things first, we wrote a post in April 2018 predicting which eight teams might end up being the Loyola-Chicago of 2019. Turns out, we’re not very good at this kind of thing. Most of our picks didn’t make the tourney, though it should be noted we did say Buffalo (6-seed), Georgia State (14-seed), and Montana (15-seed), so we’re not out of it yet. But now that we have a year of basketball between those predictions and these, we’ve got five other teams we think have a shot. You could make a case that Murray State doesn’t exactly qualify. We’re looking for a true Cinderella and the Racers aren’t exactly some unknown quantity coming out of nowhere. 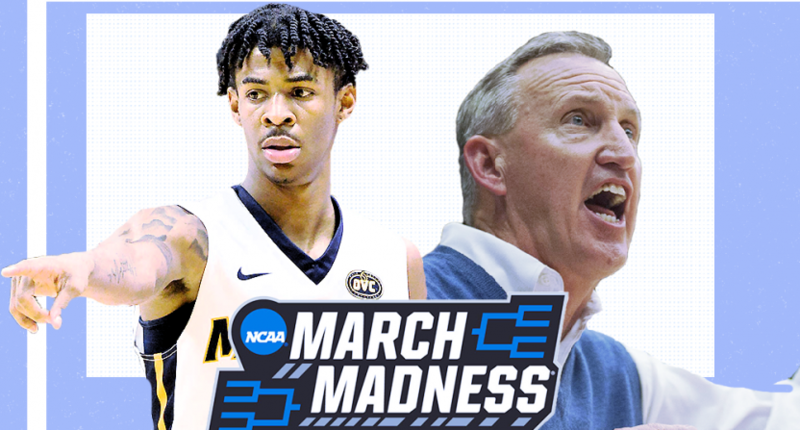 This is their second-straight season in the tournament, and they put together a stellar season this year thanks to the play of superstar Ja Morant. The sophomore finished the season averaging 24.6 points, 10.0 assists, 5.5 rebounds, and 1.8 steals per game. He’s also 50.3 percent overall and 33.6 percent from three-point range. He’s capable of taking over just about any game at any point in the tournament. The Racers aren’t terribly battle-tested, but they didn’t exactly get blown out in their games against Power Five opponents either. They’re also a very dangerous 12-seed, which gives them a slightly clearer path forward than, say, a 13 or 14-seed. They’ll have to get past Marquette and Markus Howard in the first round, but if they can do that, there’s no reason they can’t keep racing. Wofford is another mid-major who might not measure up exactly by the definition of Cinderella, especially since they’re coming in as a 7-seed, but good luck convincing anyone that Wofford in the Final Four doesn’t sound bonkers (and therefore, exactly what we’re looking for). The Terrier dominated the Southern Conference this season, which was especially impressive given the overall strength of its top teams. Wofford actually finished 13th in the NCAA’s NET rankings and they’re among the best teams in the nation in assist-turnover ratio, field goal percentage, rebounding margin, and scoring. So basically, there isn’t much they can’t do, and that could spell serious trouble for the teams in their way. The Belmont Bruins almost didn’t make it here. Despite an impressive 26–5 record, they were topped by Murray State in the OVC Championship. But the committee liked what it saw out of Rick Byrd’s squad and granted them their first-ever at-large bid. It was well-earned as the Bruins came in with a solid NET ranking (47) and quality wins over Murray State, UCLA, and Lipscomb. They’ll have to really earn their way forward as one of the First Four teams that will play on Wednesday. There’s something special in the air about the Bruins and their head coach, who is in his 34th year with the school and is a media and fan darling. They’ve got their hands full in the first game with Temple and then, if they win, the Maryland Terrapins. But if you’re looking for an 11-seed to follow in Loyola-Chicago’s footsteps, you might find it here. With a 30-4 record and a 19-game winning streak, the Aggies sure look like the kind of mid-major team that can make some waves, gets a lucky bounce or two, and suddenly finds themselves deep in the tournament. Making it to their third-consecutive NCAA Tournament, New Mexico State hasn’t won a game here since 1993 and something tells us they might be due. They’ll get a decent chance at a 12-seed taking on Auburn in the first round. And considering they were a 12-seed who lost last year, that might give them a little experience for knowing how to go into this one. If they can get past an overachieving Auburn squad, they’d likely match up against an underachieving Kansas team in the second round. After that, who knows what could happen. But the Aggies certainly have the talent (four players averaging nine points or more) and the coaching (Chris Jans is 58-10 in two seasons here) to make something happen. Would the Gaels be in the tournament if not for their epic upset of Gonzaga in the WCC Championship? Probably. They finished No. 32 in the NET rankings and won nine of their final 11 games, with those only two losses being to the 1-seed Zags. Jordan Ford has been a monster up top, averaging 21.3 points per game, while forward Malik Fitts is the team’s most complete player, averaging 15.3 points and 7.6 rebounds per game. Sure they’ve racked up the losses, but they also played a pretty strong schedule all year long. The Gaels get the defending champions, but the Wildcats haven’t exactly looked like their predecessor this season. This 11-seed has a serious shot at knocking them off and, after that, they’d get the winner of Purdue and Old Dominion. The Monarchs make a decent case themselves for consideration but we’ll take the experience St. Mary’s brings with them and ride that into the later rounds. Can you imagine if St. Mary’s made it to the Final Four and saw Gonzaga waiting for them on the other side?